On Monday I wandered down my usual charity shop route on Capel Street and when I stopped at CASA charity shop, I struck gold as they had a basket full of random unwanted Christmas baubles looking for a new home for 0.10 each. I couldn’t not. I headed home with a bag full of baubles and a couple of ideas for how to make them more personal. I first thought of drawing rough geometric triangular patterns on them using a Sharpie in keeping with this years edible ornaments I decorated. I couldn’t go wrong as I didn’t have a pattern in mind; I just kept drawing triangles haphazardly in various sizes. Optimal thumb placement on the bauble so you can’t see all of me in my pyjama glory. Dripping in diamonds. God bless tripods and timers. 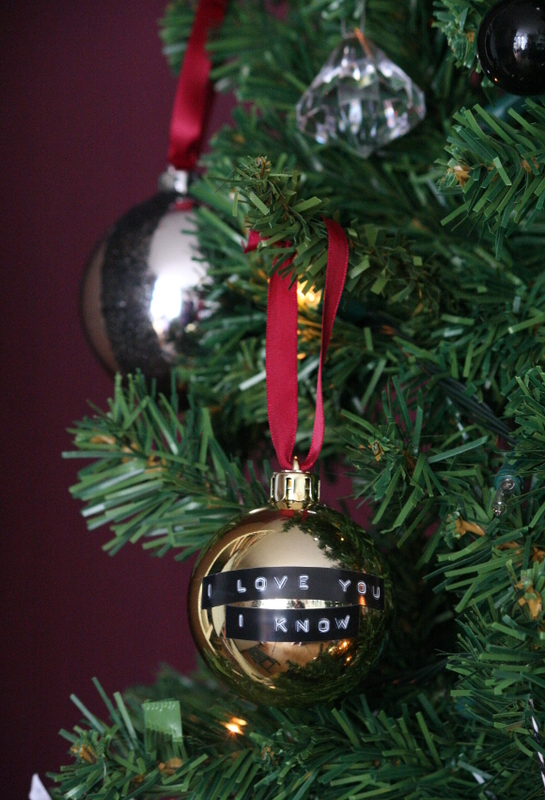 For the larger baubles, I had an idea to add some punched Dymo embossed labels to add a simpler and old school retro feel to our decorations. I punched out some of our favourite phrases including our wedding vows from Napoleon Dynamite [ALWAYS AND FOREVER] and some romantic Star Wars quotes [“I LOVE YOU” … “I KNOW”]. Husband particularly enjoyed those. 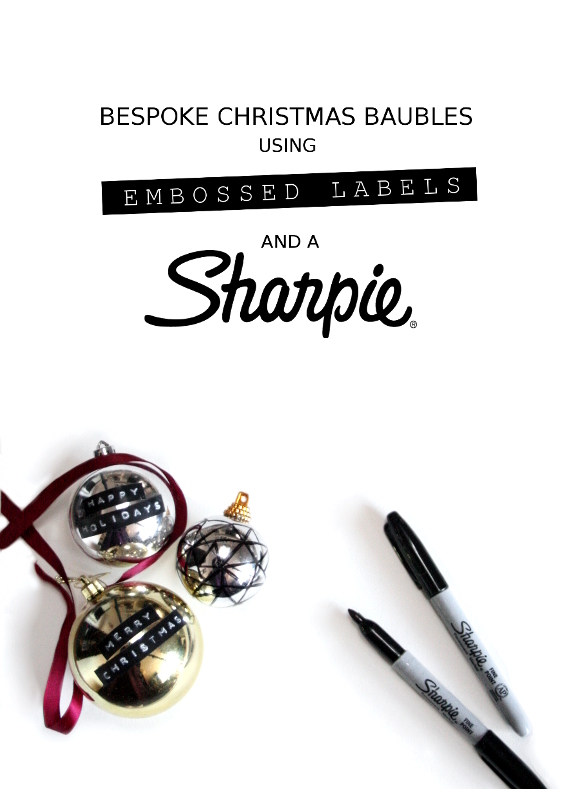 Some more ideas to decorate your baubles, last year two years ago I used double sided tape and black glitter to decorate some plain baubles, as well as wrapped glitter / scratchy baubles in yarn to better suit the colours in our home. 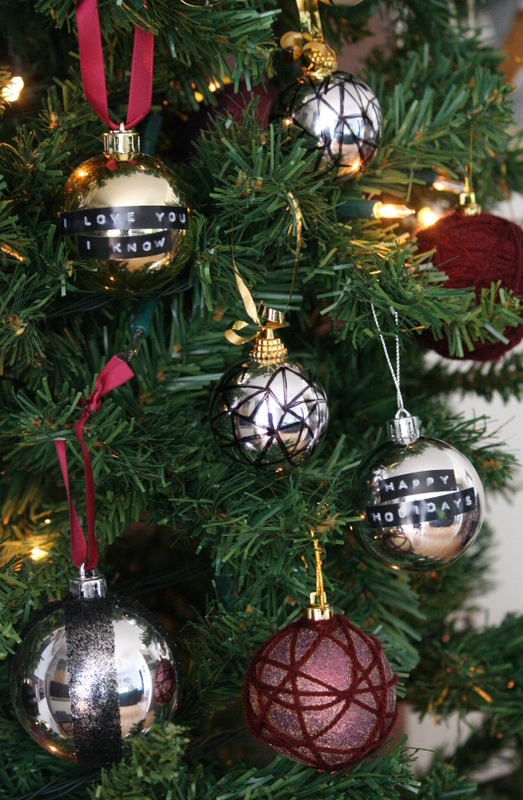 These baubles can be seen at the bottom of the image above. How are you guys coming along with decorating for the holidays? I’m not finished yet, but to me that’s part of the fun. Adding, making more things, moving things around to the point that it drives husband insane because he can’t find anything the next day. It’s all part of the season. Next Post Canadian man cave, office edition – progress! Did you know that "I know" was totally ad-libbed by Harrison Ford? And now it is such an iconic line. I think your baubles are very cute. I LOVE the double sided tape idea. Sheer brilliance. I did not know that! Huh, you learn something new every day. I just asked Robert and he however, already knew this but he's a giant Star Wars nerd and I wouldn't expect any less. Apparently Harrison thought saying I love you in return wasn't in keeping with Han's character. I have no doubt you already knew this though. On the same theme of what we have been talking about, check out what I just found!!! Those. Are insane! And I'm so glad they come with PDF's because I was just about to say, there's no way in hell I'd be able to cut those out myself! I'd basically resemble Edward Scissorhands by the end. 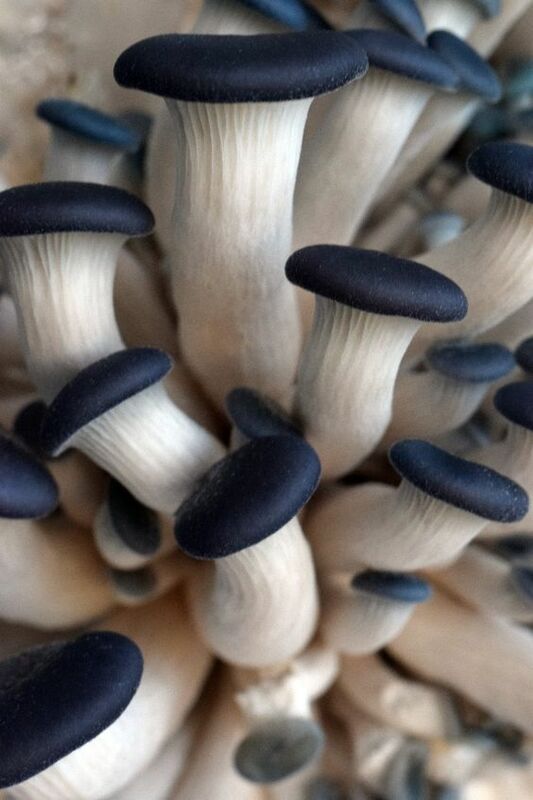 These are so simple and yet so effective – good work! Your decorations all look so good together – but I would expect nothing less from you! I really like Wedding vows from Napoleon Dynamite [ALWAYS AND FOREVER]. So true and emotional. Thanks!